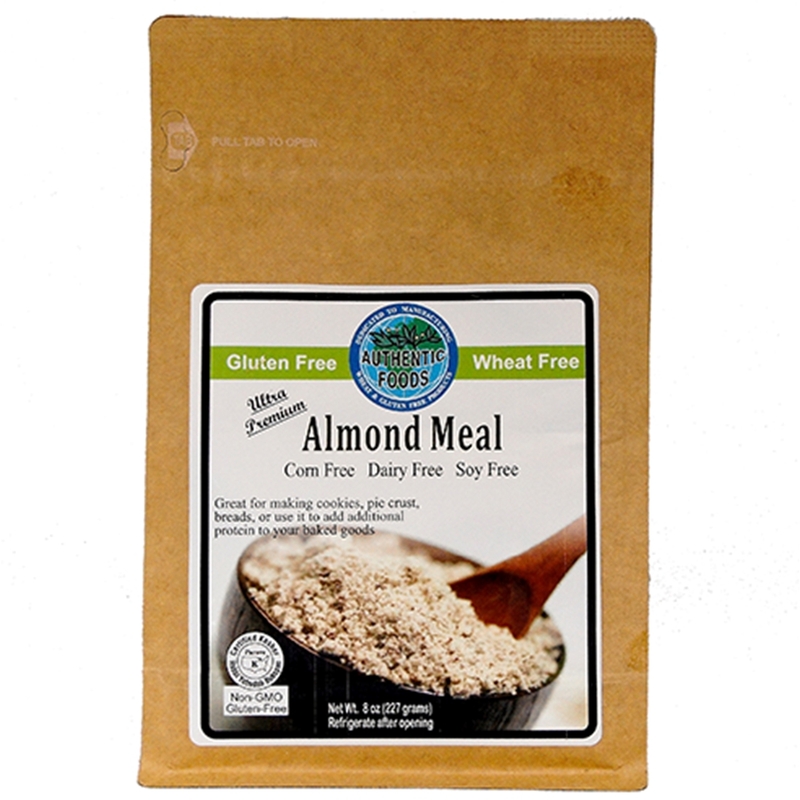 Made from a combination of blanched and non-blanched almonds, this almond meal flour is especially beneficial for people who are on a gluten free diet or a low carbohydrate diet because it is high in protein and high in fiber. In a food processor, blend all ingredients until dough clumps together. Chill dough for 15 minutes. Then roll it out on wax paper dusted with the Authentic Foods Corn Starch or the Authentic Foods Tapioca Flour. Place a 9 inch pie pan in the center of the dough and flip it with the pie crust dough over. Trim the edges of the pie crust dough. Then prick the bottom and sides with a fork.